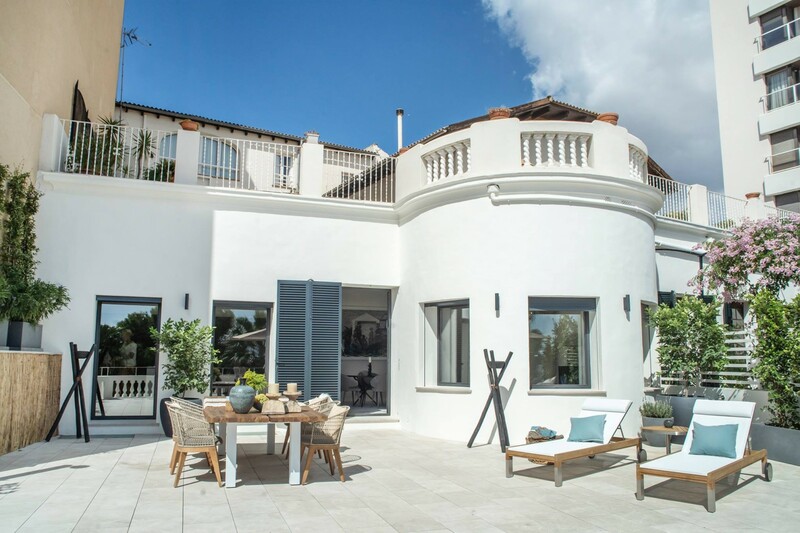 A spectacular property entirely refurbished and located in the heart of El Terreno’s trendiest area. The property offers exceptional sea views from every room and daylight throughout the day. Several terraces and an outstanding Mediterranean garden with its infinity pool complete the estate and convey a sense of peacefulness and tranquility. The villa comes with 4 bedrooms, 4 bathrooms (3 of them are en-suite), two living rooms and a fully equipped open plan kitchen. Top quality material and finishes including wooden flooring and micro cement, air conditioning h/c in all bedrooms as well as garage space for two cars.